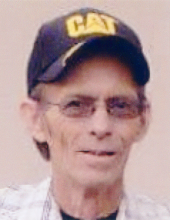 Ronald “Ron” R. Daniel, 70, of Sterling passed away Sunday, January 20, 2019 in Sterling. A celebration of life service will be held on Saturday, February 2, 2019 at 12:00 noon at 4839 W. 8th St., in Greeley, CO. Inurnment will take place in Simms, Texas at a later date. Ronald Ray Daniel was born April 1, 1948 in Texarkana, Texas to J.R. Daniel and Mary Oneta Brown. Ron graduated from James Bowie High School in Simms, Texas in 1966; he then continued his education graduating from Western Technical College in Englewood, CO in 1967. He spent most of his working life as a truck driver retiring from Allen Pancost Trucking. Ron enjoyed going fishing, watching Nascar, and classic cars. Most of all he enjoyed spending time with his family. Ron is survived by daughter Sherrie (Pat) Tenorio of Albuquerque, NM, daughter Brandy (Rick) McElwaine of Greeley, son Ronnie (Amber) Daniel of Louisville, CO, son Wayland Daniel (Sandra Sosa) of Greeley, grandchildren Bryan Tenorio, Kevin Tenorio, Aiyana Daniel, Haylea McElwaine, Skyler Daniel, Celeste Sosa-Reyes, brother Gene (Jacki) Brown of Naples, TX, brother Tommy (Gina) Brown of Dekalb, TX, sister Liz (Bill) Allen of New Boston, TX, brother Charlie (Jana) Brown of Simms, TX, brother Billy Brown of Simms, TX, sister Maryann Daniel, nephews Tommy Brown of Simms, TX, Jeff Brown of Simms, TX, Michael Brown of Corsicana, TX, and nieces Ashley Loftin of Texarkana, TX, and Madeline Gauntt of Simms, TX. He was preceded in death by his father J.R. Daniel, step-father Marty Brown, and mother Mary Oneta Brown. Tennant Funeral Home & Crematory has been entrusted with arrangements. To send flowers or a remembrance gift to the family of Ronald R. Daniel, please visit our Tribute Store. "Email Address" would like to share the life celebration of Ronald R. Daniel. Click on the "link" to go to share a favorite memory or leave a condolence message for the family.